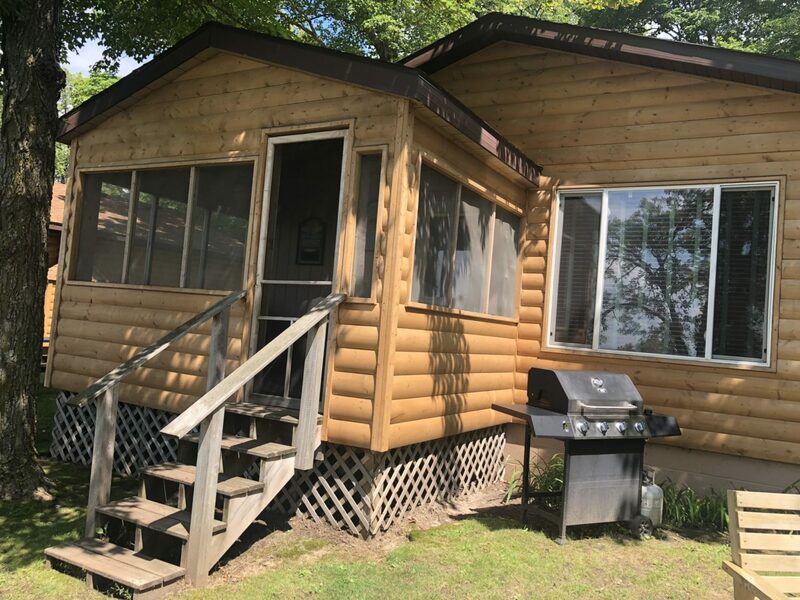 Take the kids out in the spacious yard or down to the beach . . . maybe have a picnic there. 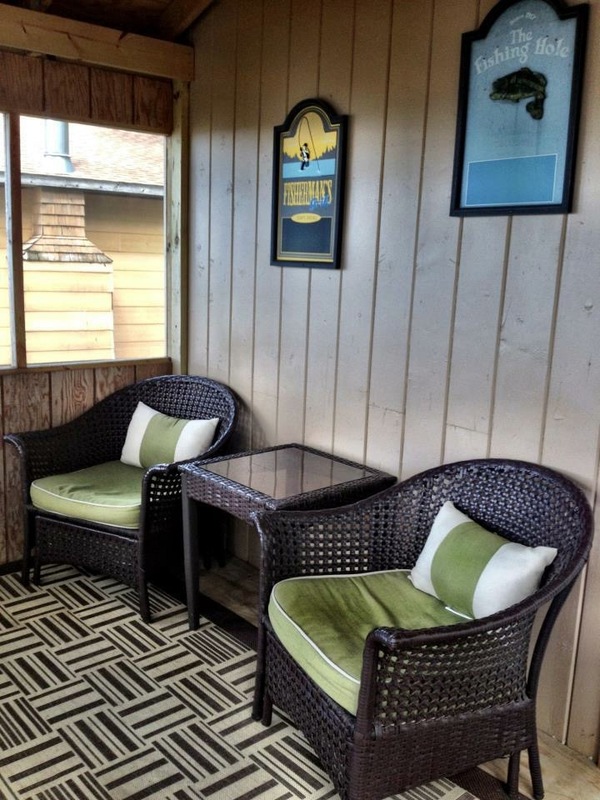 Once the kids have settled down and it's time to relax, catch the sunset from the comfort of your screened in porch. 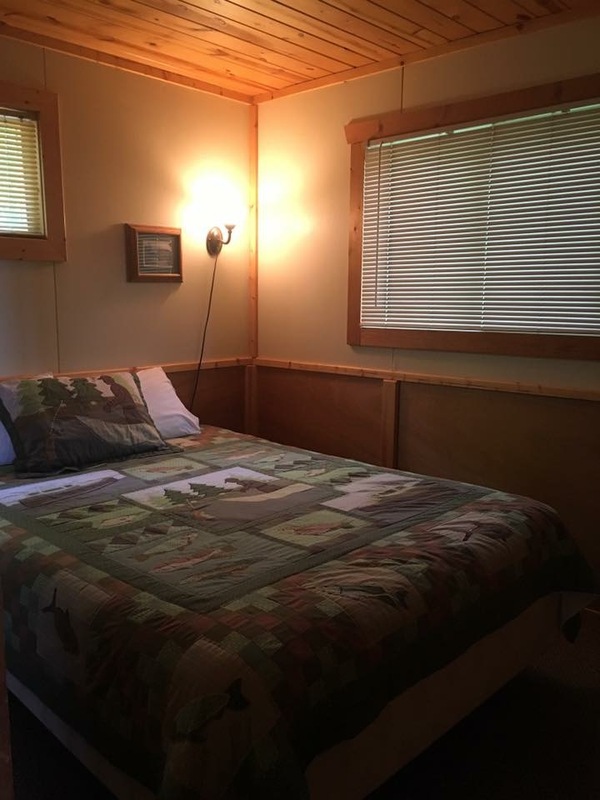 This cabin has air conditioning and a hide-a-bed to accommodate two additional people. 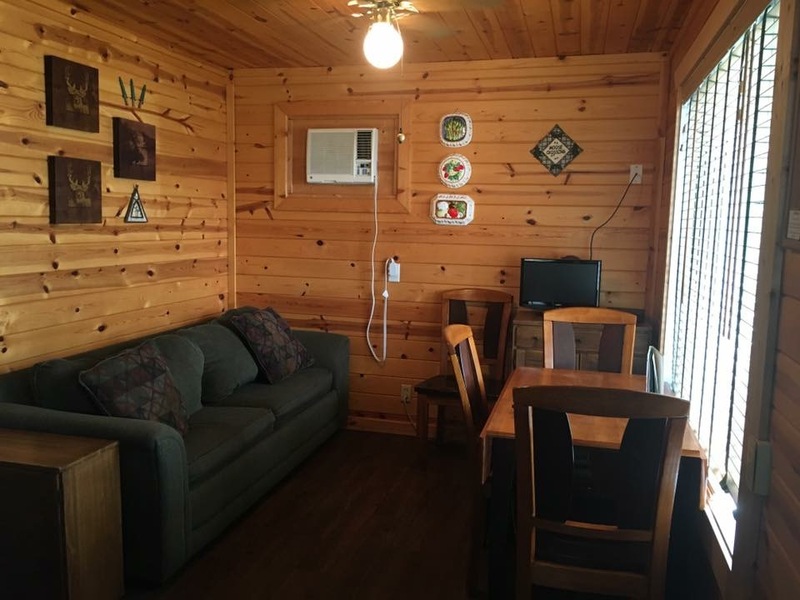 We included air conditioning, knotty pine throughout, new bathroom, carpeting, and flooring. 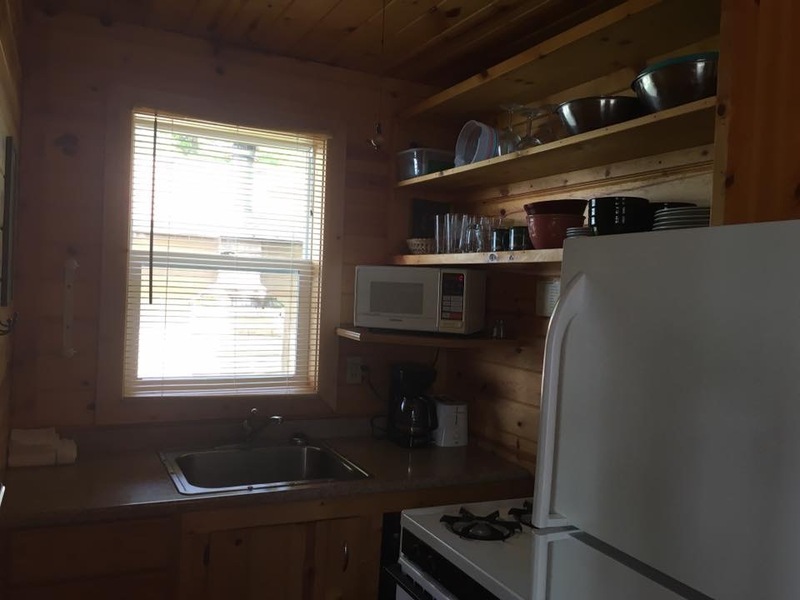 Just as all our other cabins, this kitchen includes a microwave, automatic coffee maker, wine glasses and cooking utensils. Can you imagine the view through the picture window in the living room? Watch the sunset from here or from your screened in porch built. 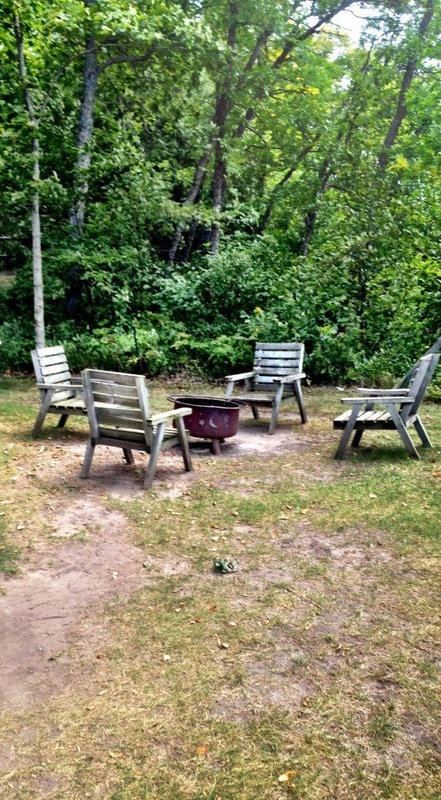 Also, a new private outdoor firepit has been added for you and your guests.You will find two bedrooms in Cabin 8. 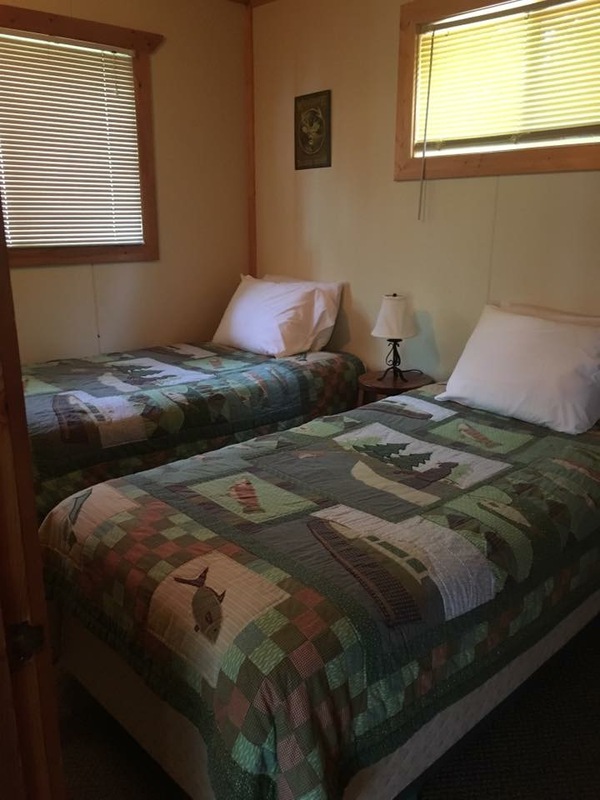 One bedroom is furnished with a queen-sized bed, the other has two twin beds. 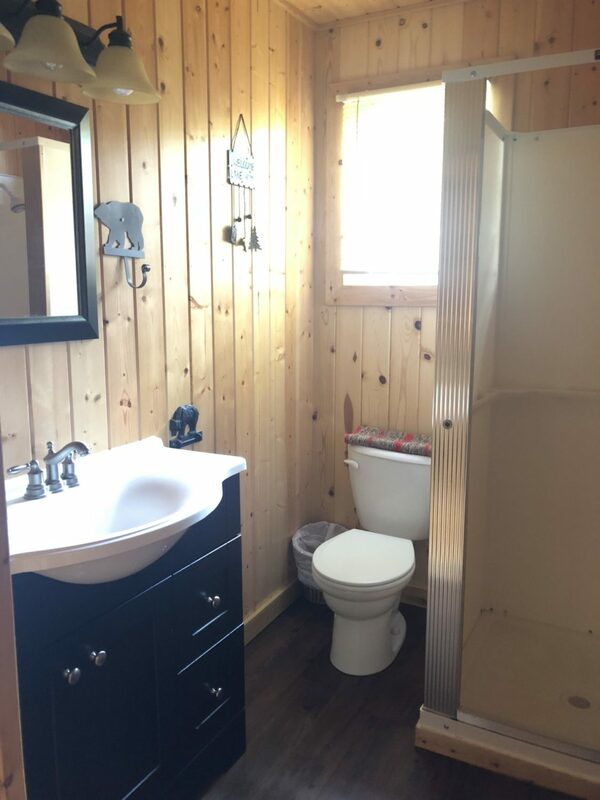 The bathroom is tastefully decorated and finished in knotty pine.